This kit does not come with a temperature sensor or thermostat. The FRH fan relay wiring kit safely integrates with OEM wiring and are a must-have when installing an electric cooling fan. This kit does not come with a temperature sensor or thermostat. 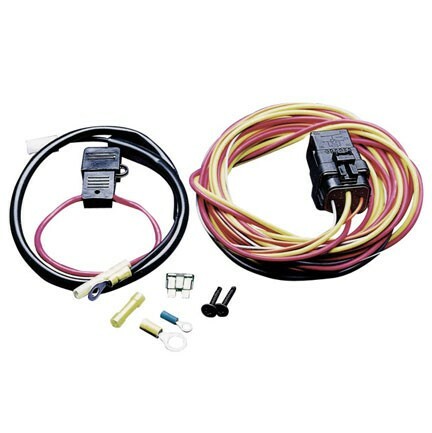 Please note: the FRH kit is for 12V applications only and comes with the FR-PT jumper harness. This jumper harness has the AMP/Tyco interface connector 180907 on it. This mates with the 180908 connector, which is on many SPAL fans. Not all SPAL fans have the same interface connector.